A well-written menu is like a shy love letter written at the very start of a secret relationship. It hints at intriguing combinations to come, and drops clues as to the manner of their preparation, but it holds something back. 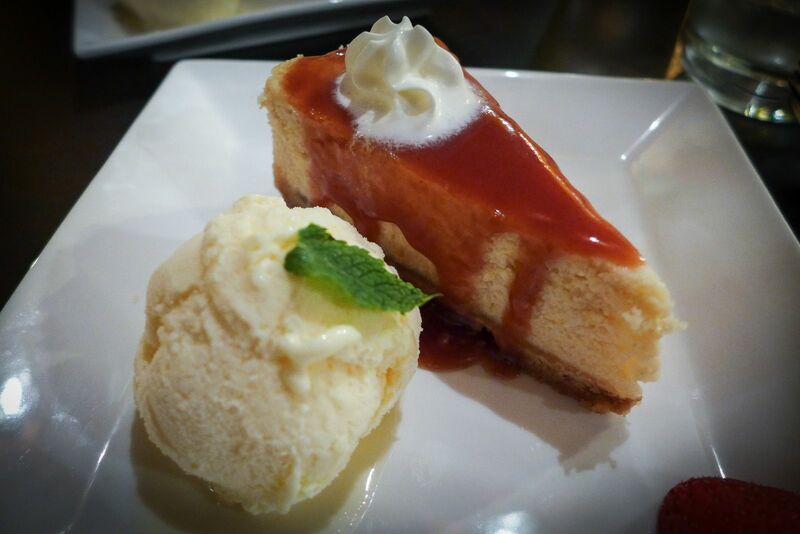 Hunger is best fortified by curiosity. At Solano’s Peruvian Cuisine, the menu is neither shy nor well written. It is a brazen hussy, boasting in advance that one dish “is a blend of unbelievable quality” and that another “will suit everyone”. Really? I’ll be the judge of that. A steak is helpfully described as “one for meat lovers”. But if the menu won nul points for style, I also queried its ambition. Why does a Peruvian restaurant offer four pasta dishes? How are tempura prawns and deep fried calamari rings (can anyone find me a restaurant that isn’t serving these) representative of modern Peruvian cuisine, unless properly served with spicy ají amarillo aioli? These were offered with “garlic mayonnaise”. 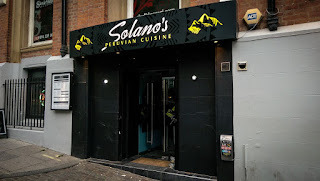 I had been looking forward to Solano’s, hoping that they would offer Newcastle something new. Peruvian restaurants are all the rage in London, and they’re quickly spreading around Britain. The food can be fabulous, from seafood treats to simple dishes cooked on charcoal grills. 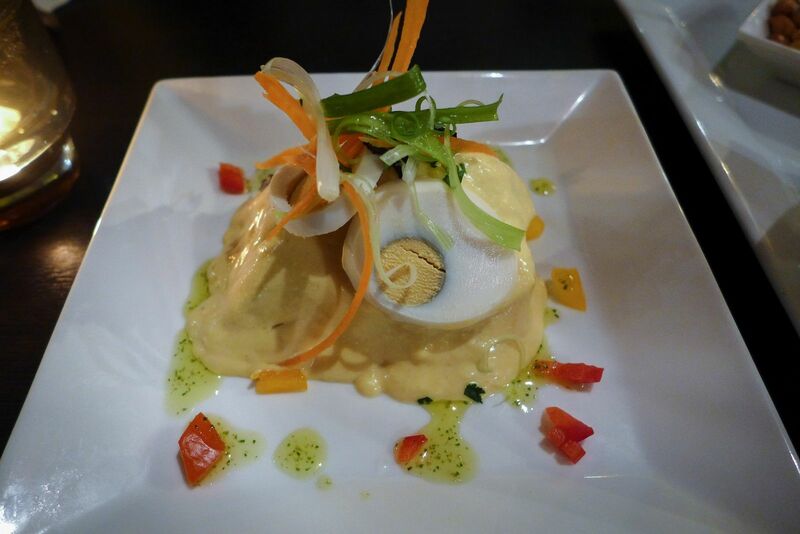 The Spanish wonderchef Ferran Adrià described Peruvian cuisine as “the future of gastronomy”. When I arrive in London I always head straight for Pachamama or Coya, which fuse modern cooking onto Peruvian tradition. Could Newcastle actually be riding the crest of the wave for once? Sadly, the answer is no. Perched at the top of The Side opposite Tup Tup Palace, this site used to be an indifferent Brazilian joint called Escobar’s. 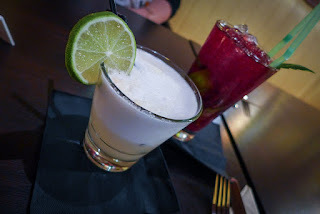 The interior has now been done out in cheery yellow and blue, there’s a part-open kitchen, and they serve a bracing pisco sour, always a good test of a Peruvian bar. 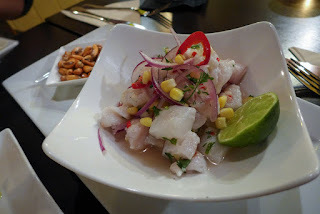 Ordered as a starter to share, the ceviche was quite acceptable. This is as close as Peru comes to a national dish. Raw fish, preferably Chilean sea bass, is bathed in lime juice, chilli and sliced red onion until the citrus begins to “cook” the fish. Solano’s version used cod: not exactly exciting, but at least it was local. And it was light, fresh and zingy. Cancha, a sort of semi-popped corn, were served on the side. Unfortunately, these were the last good things we tasted all night. We ordered another traditional Peruvian dish, papa a la huancaina. This is essentially cold sliced potato smothered in a chilli-spiked cheese sauce. The key is to ensure that the sauce has enough punch to distract you from the fact that you’re paying a fiver for a few cold spuds. This one hadn’t. Things had already started to go downhill, but soon they plumbed the depths. 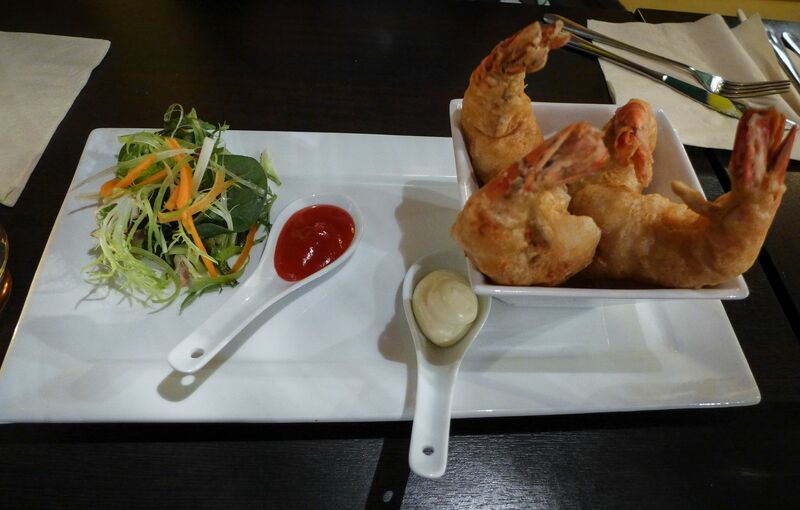 The problem with sitting next to an open kitchen is that when your tempura prawn main course is plated and put on the hotplate while you’re still halfway through your starters, you know all about it. I doubt if these poor creatures had ever been crisp and light, but by the time they reached our table they were bored into pappy turgidity. Their garlic mayo tasted of lemon and not at all of garlic. Worse still was the “chilli jam”, an emetic mess that spoke of a cheap catering jar bought in a Chinese supermarket. At least, I hope that’s where it came from, for I can’t believe that anyone who calls himself a chef could have made this wretched creation on purpose. To add further insult, these sauces were plonked onto pointless china spoons that skittered noisily around the plate until Mrs Diner and I gave up on them. My main course had been billed as “a blend of unbelievable quality”. 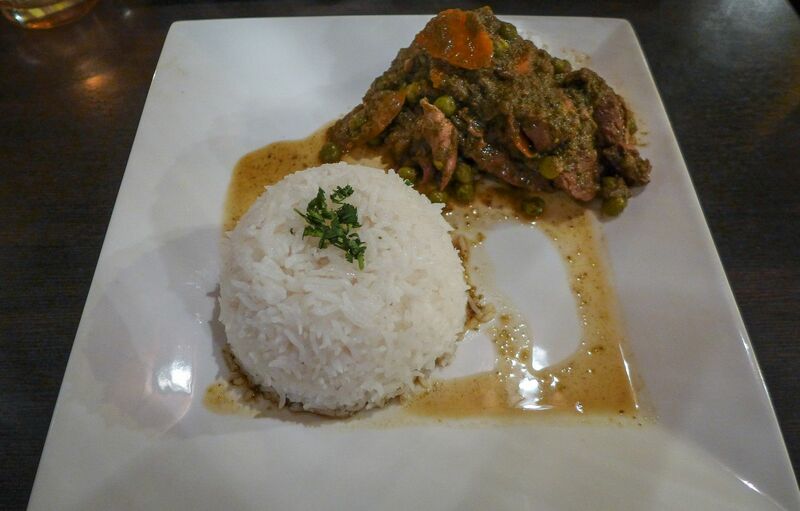 It was certainly unbelievable – it was lamb stew with carrots and peas. Its “coriander sauce” tasted of no such thing. This, alongside a retro dome of plain boiled rice, was called Seco de Cordero and cost us £12.50. It was supposed to come with yuca (cassava), but I couldn’t find any. I asked the waitress where it was, and a message came back from the kitchen that they had run out. My patience was almost doing the same thing. 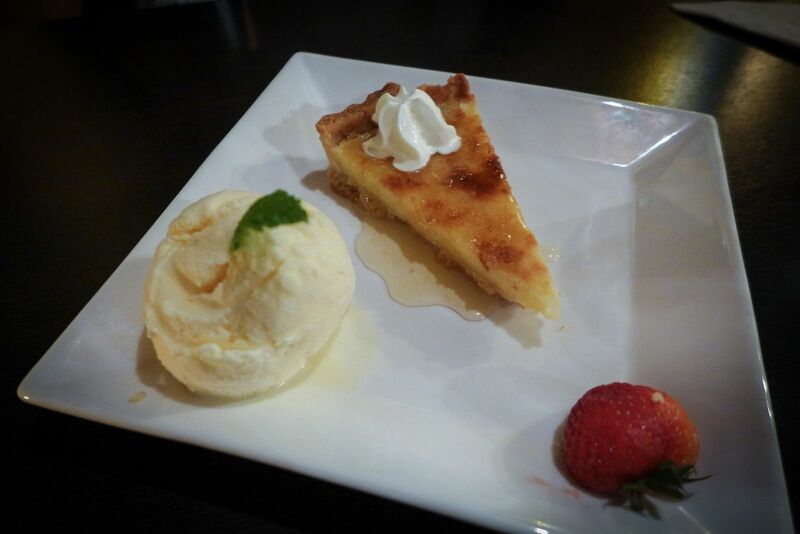 Puddings were “homemade”, so we tried a cheesecake of lucuma (a fruit with a flavour like very sweet potato) and a lemon tart, in case they were redemptively brilliant. They weren’t. The pastry on both was so poor and soggy it was practically indistinguishable from the fillings. For the second time in two weeks, I noted the use of a squirty cream gun. Really? In 2015? This is exactly the kind of new venture whose praises I’d love to be able to sing. But I can’t, even though the service was cheery and sweet, because, ceviche aside, our food was desperately poor. I don’t think we can be blamed for ordering badly, because part of the problem is the menu. If you’re going to open a Peruvian restaurant, it simply isn’t good enough to offer bog-standard English dishes with the odd South American inflection. I expected twists on genuine Peruvian cooking, adventurously spiced and full of verve. What we had was dull, tired and unloved, yet this place has only been open a month. A choice of ceviche, a range of small plates, certainly a selection of antichuchos (look it up), interesting concoctions with beets, beans and quinoa: they should offer something original, or simply not bother opening at all. Solano’s is named after the most popular Newcastle United hero to come from Peru. I fear Nobby may not be so keen on the association once he tries the food. As Mrs Diner and I left, full but unsatisfied, we reckoned we might have been better off following the lead of Darkest Peru’s other famous son, by staying home and sharing a marmalade sandwich. As a peruvian with an equally peruvian mother who would slay at the first sign of poor peruvian food, I've been here on multiple occasions and always had a wonderful dining experience. One would also comment on the correct spelling of "anticuchos" seeing as you've asked the reader to look it up. This restaurant is a brave gamble in a city powered by Greggs and seeing a few "safe" dishes like calamari and tempura is a sensible decisión for the menu in case of cautious diners. 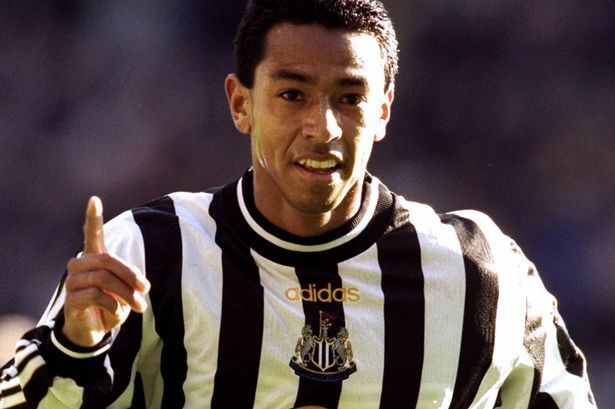 As Nolberto Solano himself was present for the opening of the restaurant I think it's just plain bad taste to comment on his supposed opinion of the food. Not really sure where you're getting this Chilean bass in the ceviche from, as any decent white fish is used. Poor, ignorant review. I highly recommend the restaurant. 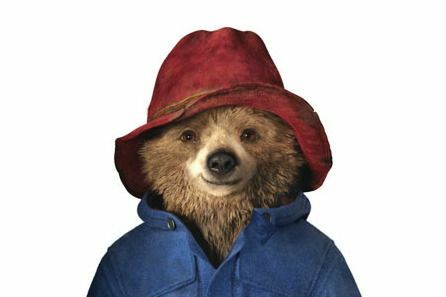 I'm ashamed to admit I don't usually write reviews, but in this case I really feel I have to. As someone who is Peruvian, I really don't know what this guy is talking about. I go to Solano's regularly and hope that this ridiculous review doesn't impact business, as it's one of my favourite restaurants in the city. The thought of another chain opening in its place... ugh. "bog-standard English dishes with the odd South American inflection". The chef is actually Peruvian and the dishes are the real Peruvian deal. Sure, a handful are specifically made to cater to a British audience that prefers the familiar but most dishes are exactly what you'd get in Peru. Have you actually been there (serious question)? "interesting concoctions with beets, beans and quinoa". Right, so it can become another fake Peruvian restaurant like the many I've been to in London. Colourful food, great presentation, tiny portions, and 0% genuine Peruvian cooking. I do agree on the anticuchos - hope they're added to the menu soon. And yes, I'd recommend opting for the traditional dishes as they're what makes this place unique.